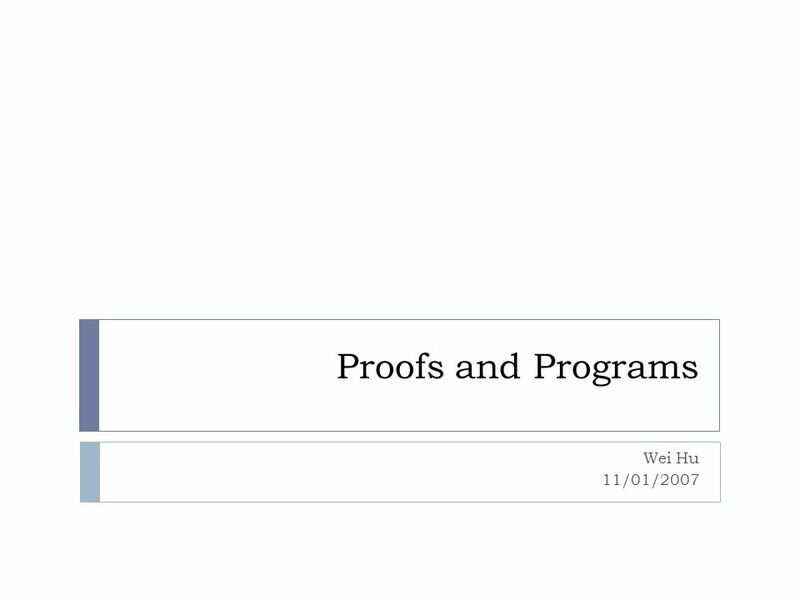 Proofs and Programs Wei Hu 11/01/2007. 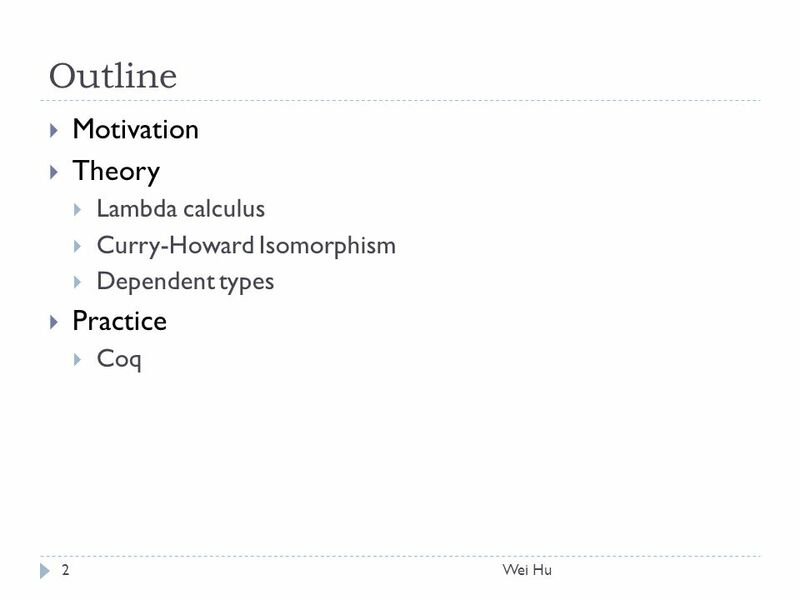 Outline  Motivation  Theory  Lambda calculus  Curry-Howard Isomorphism  Dependent types  Practice  Coq Wei. 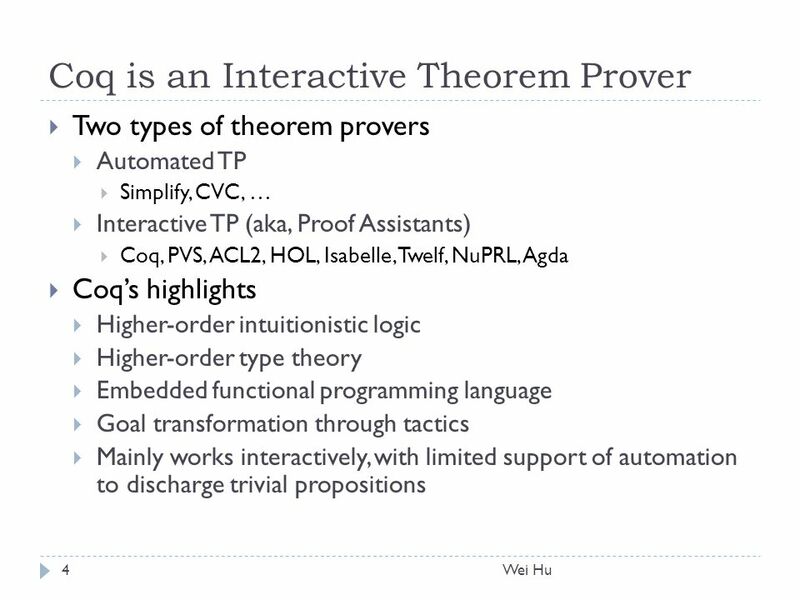 Download ppt "Proofs and Programs Wei Hu 11/01/2007. 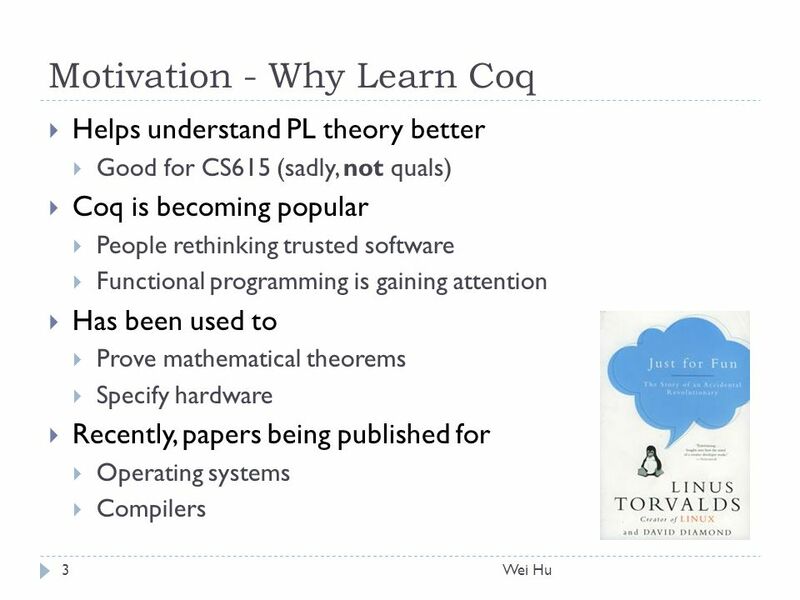 Outline  Motivation  Theory  Lambda calculus  Curry-Howard Isomorphism  Dependent types  Practice  Coq Wei." 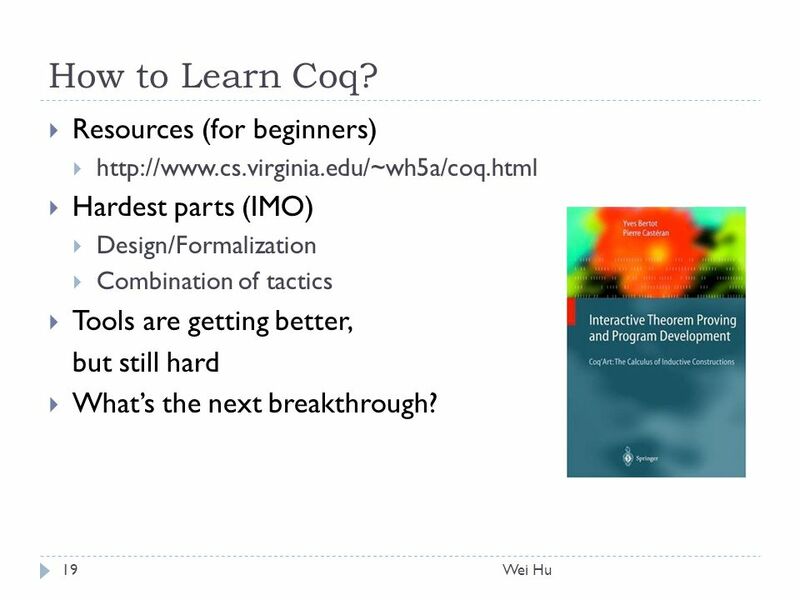 Programmed Strategies for Program Verification Richard B. Kieburtz OHSU/OGI School of Science and Engineering and Portland State University. 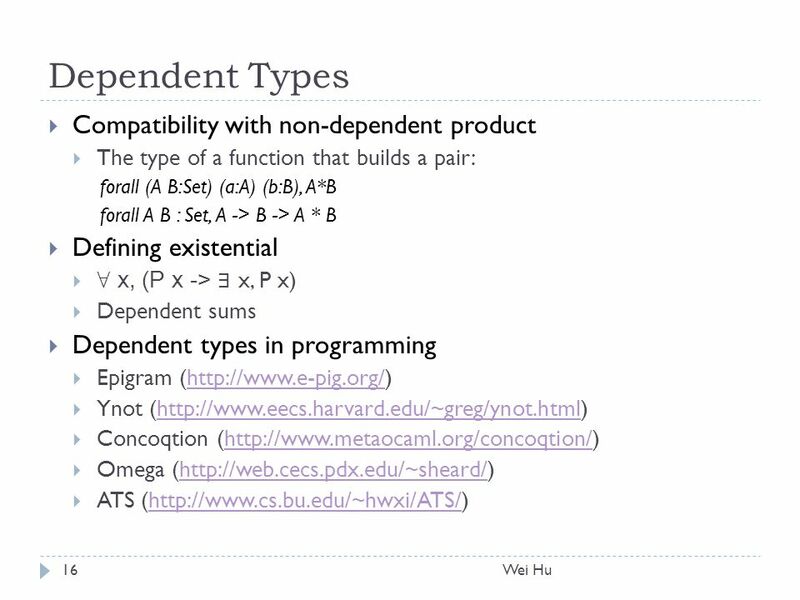 Types and Programming Languages Lecture 13 Simon Gay Department of Computing Science University of Glasgow 2006/07. 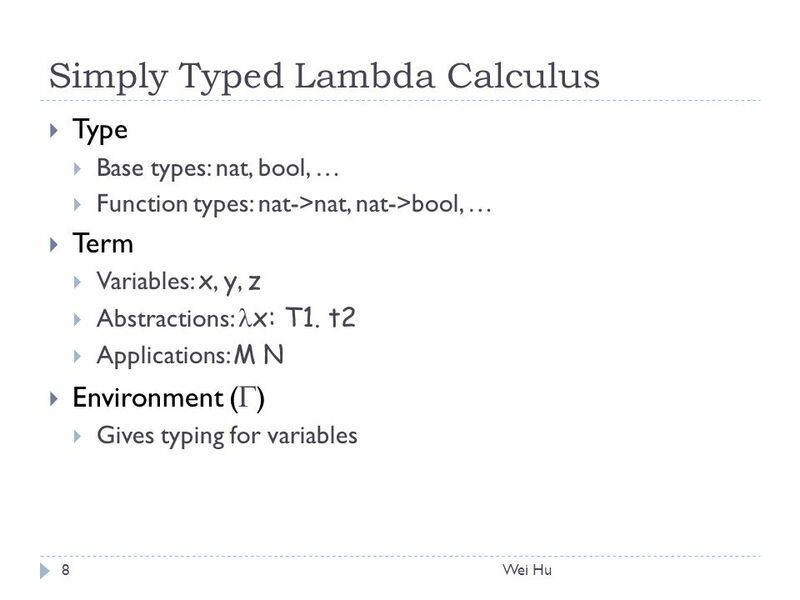 Types and Programming Languages Lecture 7 Simon Gay Department of Computing Science University of Glasgow 2006/07. 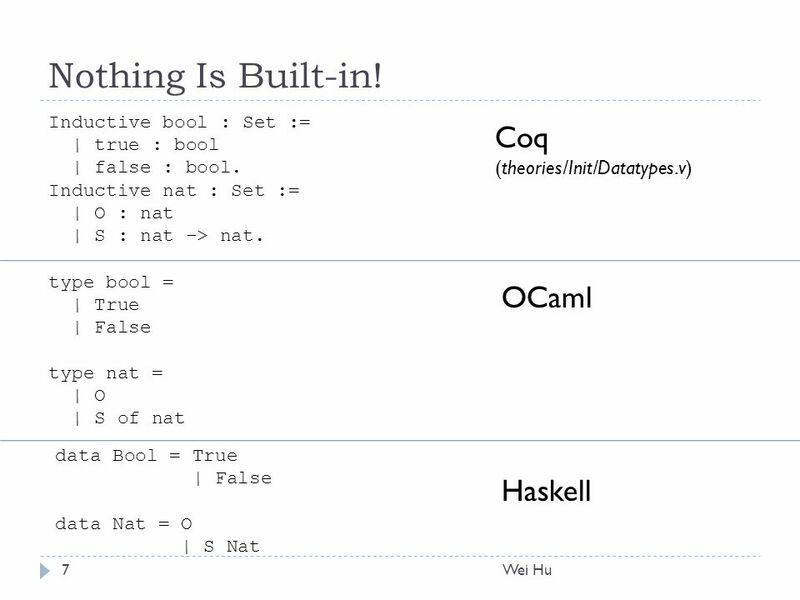 In this episode of The Verification Corner, Rustan Leino talks about Loop Invariants. 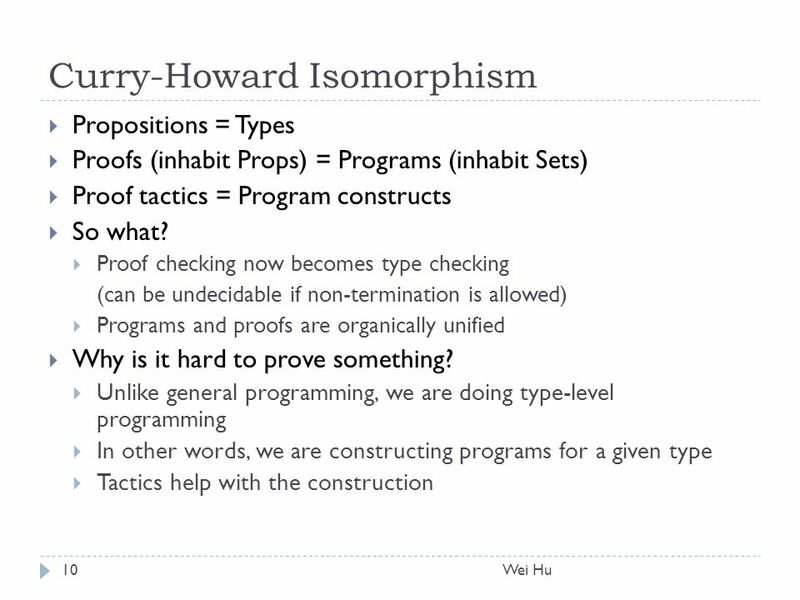 He gives a brief summary of the theoretical foundations and shows. 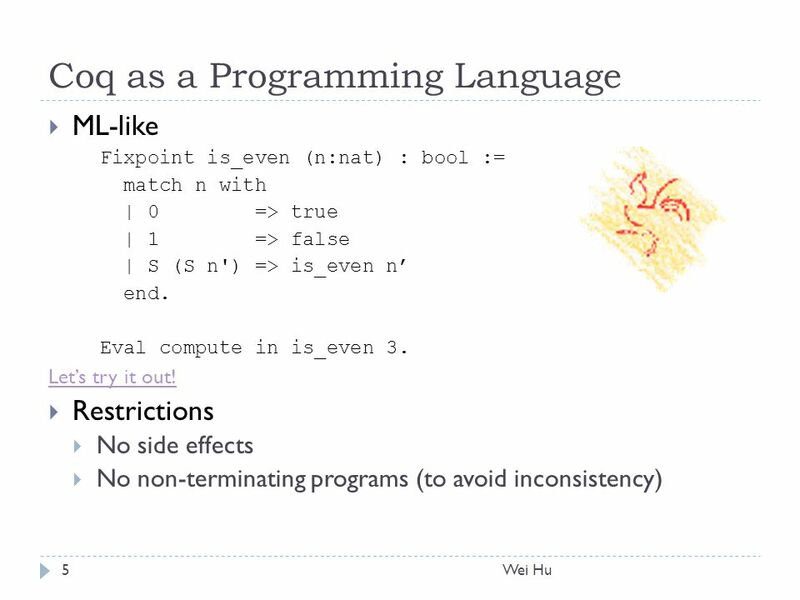 Static and User-Extensible Proof Checking Antonis StampoulisZhong Shao Yale University POPL 2012. 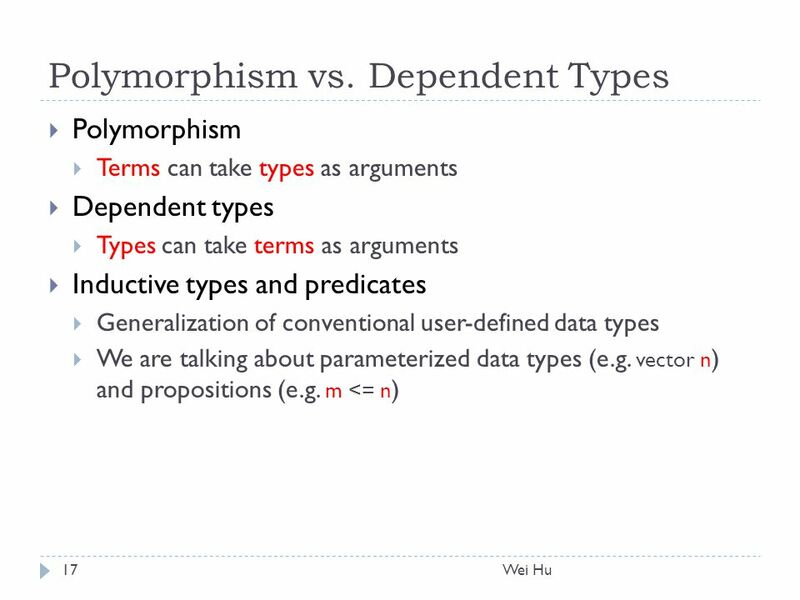 Type Checking, Inference, & Elaboration CS153: Compilers Greg Morrisett. 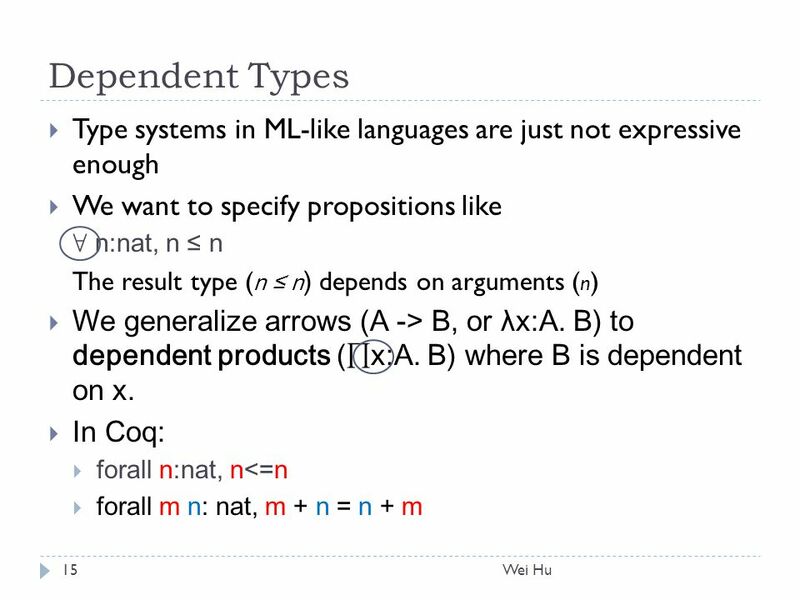 1 PROPERTIES OF A TYPE ABSTRACT INTERPRETATER. 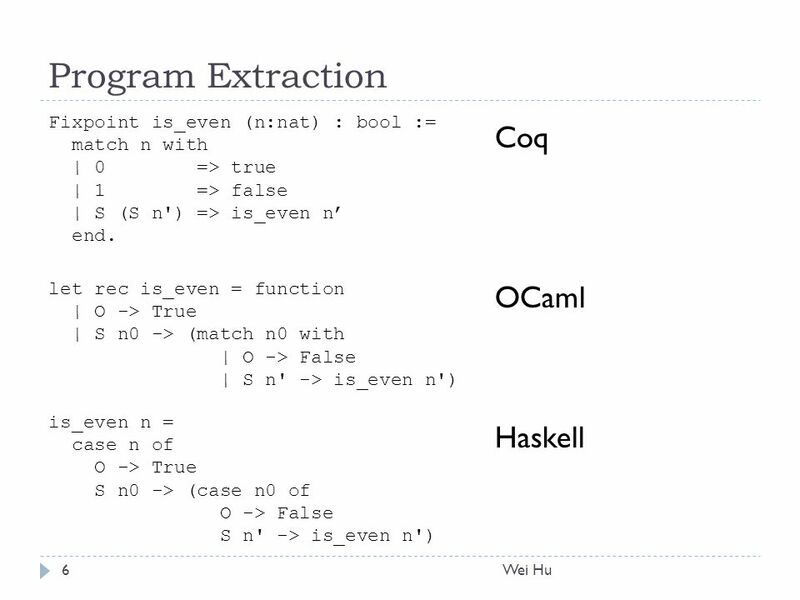 2 MOTIVATION OF THE EXPERIMENT § a well understood case l type inference in functional programming à la. 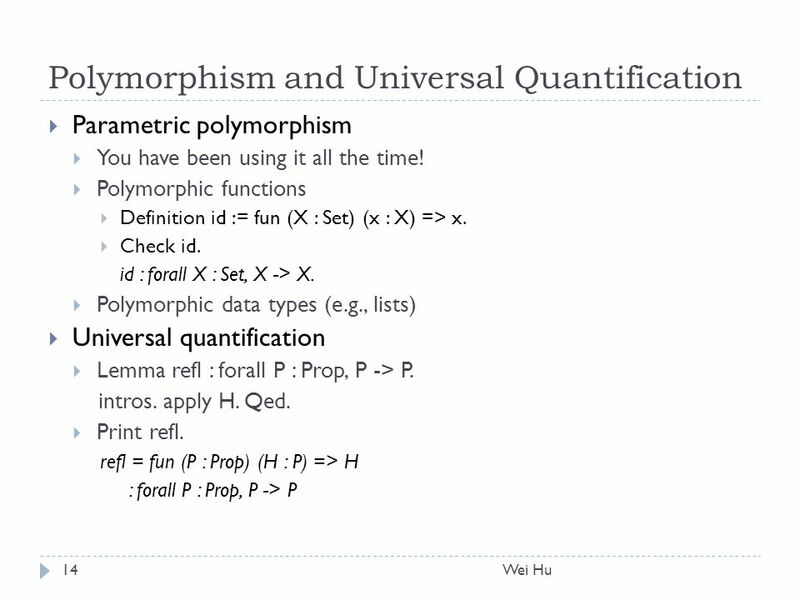 1 How to transform an analyzer into a verifier. 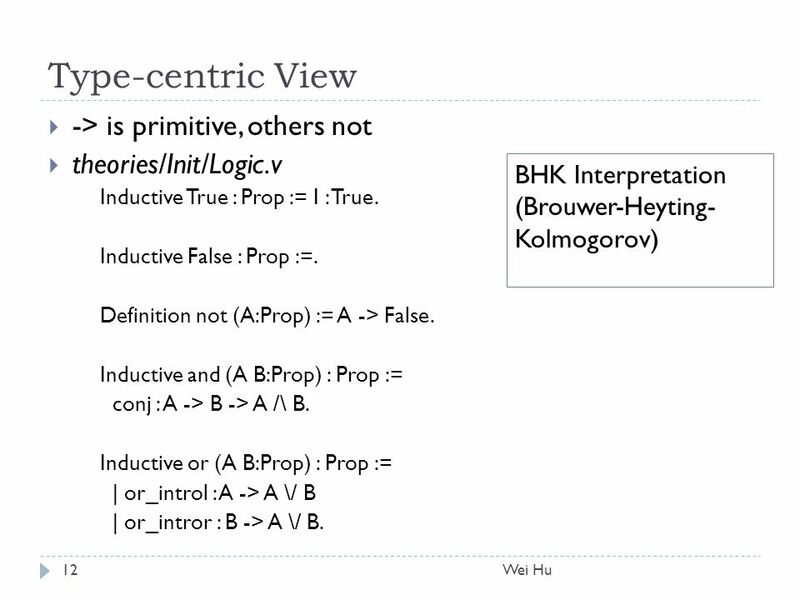 2 OUTLINE OF THE LECTURE a verification technique which combines abstract interpretation and Park’s fixpoint. 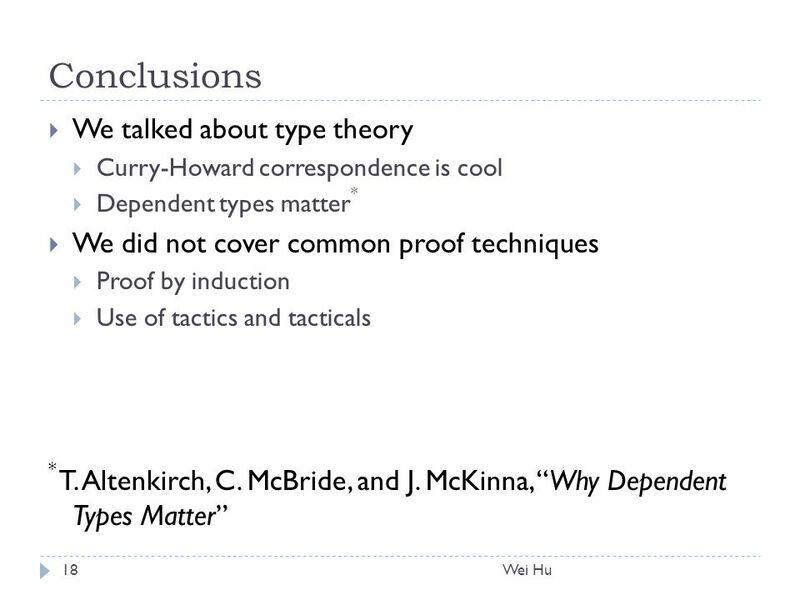 1 Dependent Types for Termination Verification Hongwei Xi University of Cincinnati. 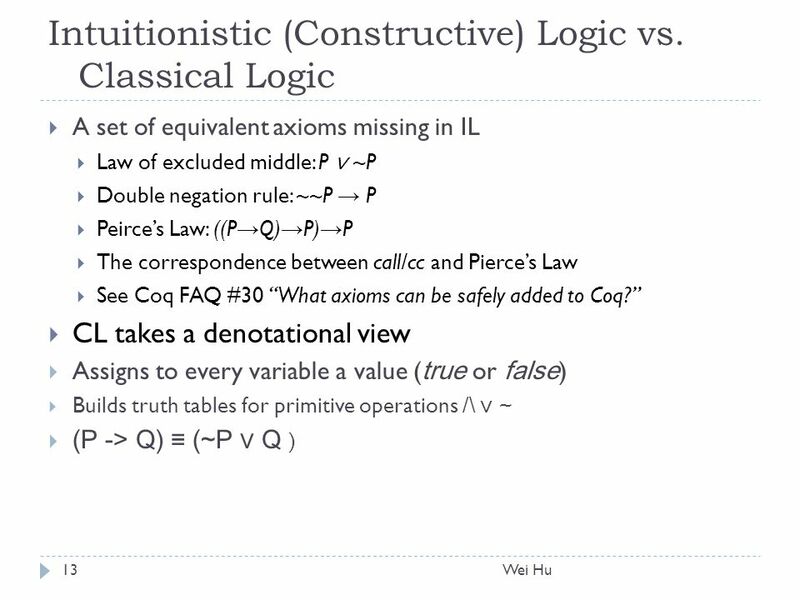 Models and Propositional Logic In propositional logic, a model in general simply fixes the truth value – true or false – for every proposition symbol. 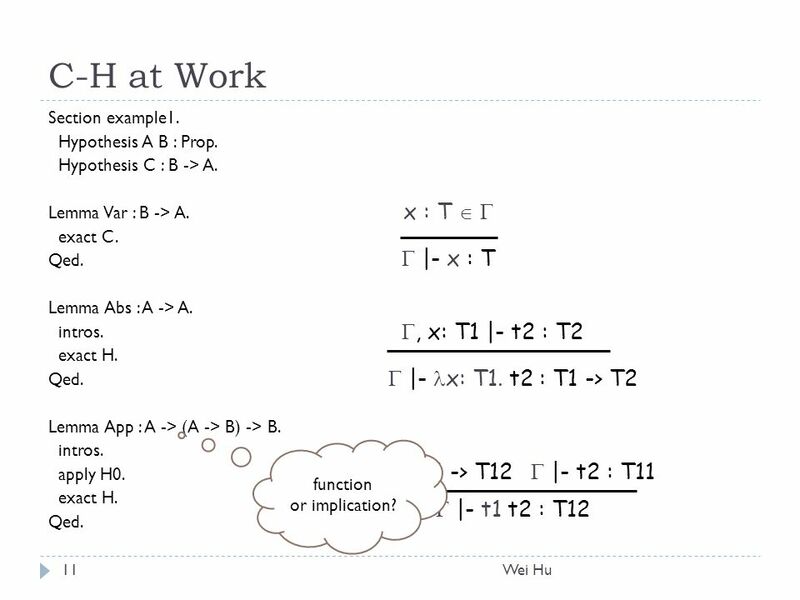 © by Kenneth H. Rosen, Discrete Mathematics & its Applications, Sixth Edition, Mc Graw-Hill, 2007 Chapter 1: (Part 2): The Foundations: Logic and Proofs. What’s left in the course. 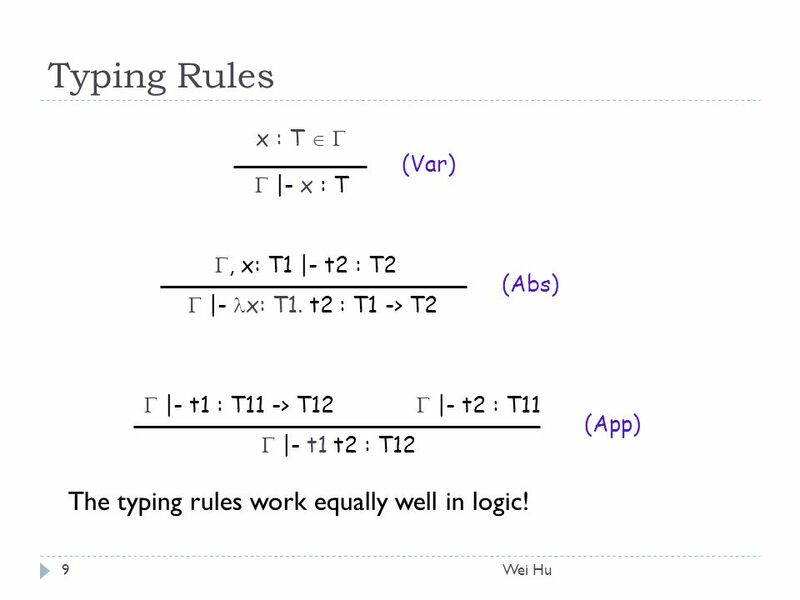 The course in a nutshell Logics Techniques Applications. Case Study: Using PVS to Analyze Security Protocols Kyle Taylor.